PASCAGOULA, Miss., Oct. 06, 2018 (GLOBE NEWSWIRE) -- Huntington Ingalls Industries’ (NYSE:HII) Ingalls Shipbuilding division christened the guided missile destroyer Frank E. Petersen Jr. (DDG 121) today with approximately 900 guests in attendance. The ship is the 71st in the Arleigh Burke (DDG 51) class of destroyers and the 33rd built by Ingalls. 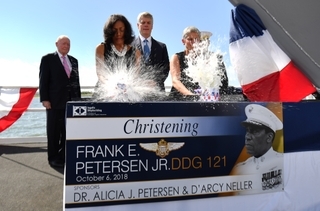 DDG 121 honors Frank Emmanuel Petersen Jr., who was the Marine Corps’ first African-American aviator and the service’s first African-American general. After entering the Naval Aviation Cadet Program in 1950, Petersen would go on to fly more than 350 combat missions throughout the Korean and Vietnam wars. DDG 121 is co-sponsored by Alicia Petersen, widow of the ship’s namesake, and D’Arcy Neller, wife of Gen. Neller. Together, Petersen and Neller officially christened the ship by successfully breaking two bottles of sparkling wine across its bow. Petersen spoke on behalf of both sponsors at today’s ceremony. Over the course of 30 years, Ingalls has built and delivered 30 Arleigh Burke-class destroyers. 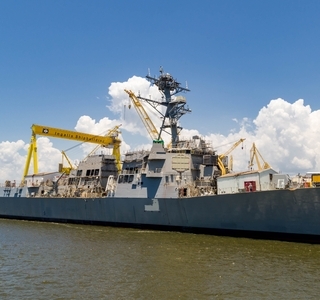 The shipyard currently has five DDGs under construction, including Jack H. Lucas (DDG 125), the first Flight III ship, which started fabrication in May. 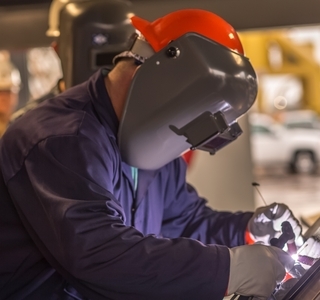 Ingalls was recently awarded a $5.1 billion multi-year procurement contract to build six more destroyers. Arleigh Burke-class destroyers are capable, multi-mission ships and can conduct a variety of operations, from peacetime presence and crisis management to sea control and power projection, all in support of the United States’ military strategy. The guided missile destroyers are capable of simultaneously fighting air, surface and subsurface battles. The ship contains myriad offensive and defensive weapons designed to support maritime defense needs well into the 21st century.